Train-the-Trainer is a model used to describe, much as the name would imply, training potential instructors or less experienced instructors, on the best ways to deliver training materials to others. When we think “trainer” our minds may automatically go to the concept of classroom training, but this is a relevant model to the world of e-Learning as well. An e-Learning trainer could be someone who works to create e-Learning training materials for a broader audience, someone who guides online interactive training elements such as webinars and discussions, or someone who is part of a blended learning model. A blending learning model is one in which a variety of training techniques are used for maximum effectiveness. Regarding e-Learning, this could mean a trainer is taught how to take the knowledge learned through online training and then bring that to hands-on, on-the-job training. Instructors can also use online materials to then create mentorship programs or other in-person opportunities which build on everything the trainee learned via a learning management system. The idea of train-the-trainer is essential to a strong overall training program, and the aim is not just to improve effectiveness, but also efficiency and productivity. The goal of many of these programs is to have a strong talent pool of trainers from which to pull, rather than to have only one instructor who manages everything trainer-related within a company. Why Is It Important to Train the Trainer? When you’re looking at people who can either facilitate e-Learning, blended learning or in-person learning, they may already be subject matter experts. These people are frequently the ones who are veterans of your organization but simply knowing the subject at hand often isn’t enough to make a great training experience. These people need to know not just the “what” but also the “how ” to maximize effectiveness and ensure your training budget is being used wisely. This will make trainers more authoritative. If you want learners to pay attention, be engaged and retain the information they’re being taught, it’s important they feel like it’s coming from an authority figure. If learners don’t take trainers serious or simply are unwilling to be trained, it makes the job a lot harder. Here’s a free white paper on, “How to train people who don’t want to be trained“. No matter your training delivery method – online, in-person or a combination of both, there are going to be questions. If your trainees aren’t asking questions that signifies a whole other problem in and of itself. For training leaders to be prepared, they have to understand the most effective ways to engage with their audience and not just supply the right answers to questions, but really get everyone processing and thinking on a deeper level. Most types of training, including e-Learning, incorporate some form of interactivity and discussion. By training the trainer, you’ll have a leader who’s better prepared to facilitate this interactivity and make the most of it. This can include not just answering questions, but also asking the right questions, fostering thought-provoking conversations and getting everyone to participate. Train-the-trainer programs can be an excellent way to introduce not just the importance of subject matter mastery, but also elements of learning theory and human psychology. Your trainers will have a better understanding of how to appeal to a diverse learning audience and really make content “stick.” This can be important for not just the actual delivery of training, but also if your trainees will be part of developing content as well. Training, as always, has to be grounded in reality. 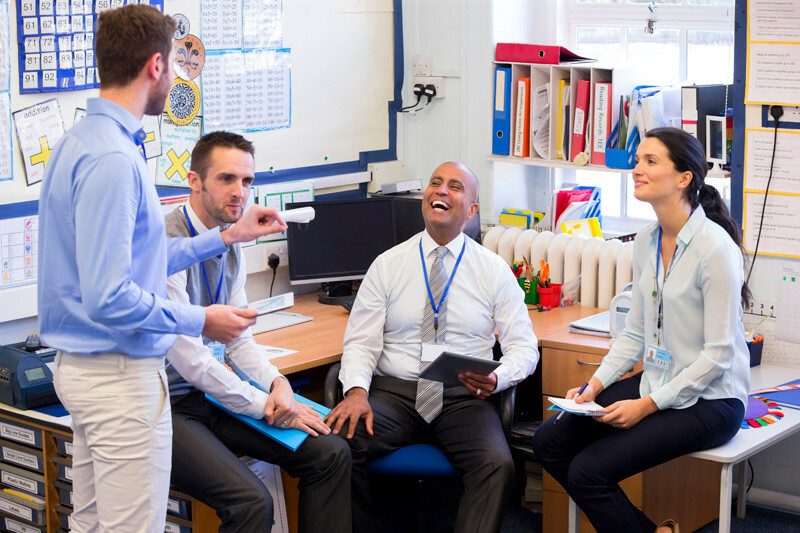 Just like the rest of your employees, your trainers need to feel as if they’re engaging in training that has merit regarding the real-life situations they’ll face when training colleagues. Begin with an assessment that covers not just overall knowledge, but also areas of learning theory and instructional design. Self-assessments can work well here, and your trainers will get a clearer picture of where they may be lagging in terms of being able to deliver the best possible training. Train on potential problems and issues. For trainers, it’s never going to be constant smooth sailing. People learn and respond to training in very different ways, so while the tone of train-the-trainer should be positive, it’s important to introduce concepts that prepare them for a variety of challenging situations, and how to best overcome them. Trainers will need to know how to be managers in the sense they’re the leaders of training, and they also need to be able to appeal to a wide variety of learning styles. Train-the-trainer concepts can be seamlessly delivered through a learning management system, and one of the really compelling ways to do this is through the use of videos. If you want to give your trainers feedback on their performance, have them upload videos or audio of themselves leading a mock session and then provide feedback. The videos can be saved in the learning management system and referred to later if trainers have any uncertainties. This is also a great way to track progress—have teachers upload videos before, during and after training is completed so they can see how far they’ve come, and also where they may need improvement even after all their train-the-trainer coursework is completed. Remember that the best programs to prepare less experienced trainers for what they’ll face leave some degree of flexibility. Your training should prepare them to deal with a range of situations, but not show them that just one way is best. Provide them with the theoretical foundation, but ensure there’s enough freedom for future trainers to make it their own. Your trainers, regardless of their specific role, are a valuable asset, when they’re developed correctly. No matter how expert they may be on a particular subject, it’s important you develop them not just as SMEs, but also as instructors. You can reach out to our colleagues at eLeaP for help structuring your “train-the-trainer” programs.